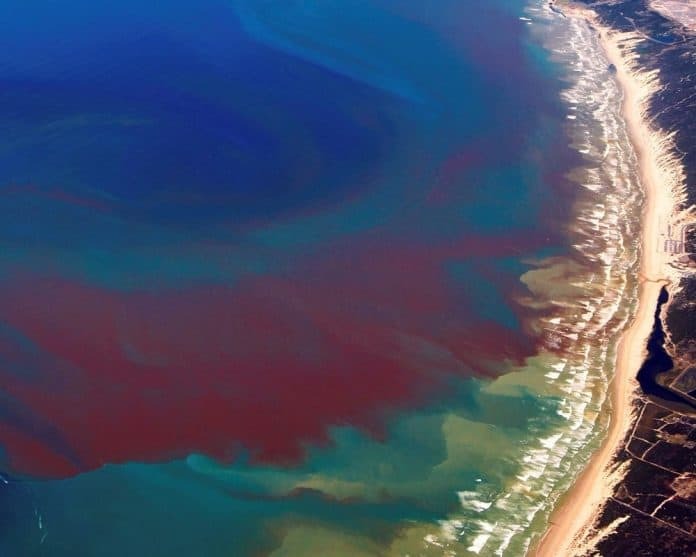 The two chairmen of the Florida congressional delegation–Republican U.S. Rep. Vern Buchanan and Democrat U.S. Rep. Alcee Hastings–are backing a proposal to provide more than $100 million to fight Harmful Algal Blooms (HABs) including toxic algae and red tide. Buchanan, who sits on the U.S. House Ways and Means Committee and the House Budget Committee, laid out the problem in stark terms. “Our economy, environment and marine life is under siege by this crisis and we need all hands on deck to help Florida deal with the problem,” Buchanan said on Friday morning. The proposal also reauthorizes the Harmful Algal Bloom Federal Interagency Task Force and adds the U.S. Army Corps of Engineers to it. Buchanan and Hastings have been working on the matter, including calling on the House leadership to take up the bill. So far, it hasn’t gained much momentum in the House despite gaining traction through the Senate. Right now, it’s bottled up in two committees and has only attracted a handful of cosponsors. Buchanan and Hastings are the first two cosponors from the Sunshine State. Back in March, Buchanan was able to get Congress to approve an additional $8 million to combat toxic algae blooms and red tide.